Hey there, everyone! It’s that time of the year and while the offerings for free games are a little half and half, it’s still a good time to be a PlayStation Plus member! Follow the jump to see what I think about this month’s free games! 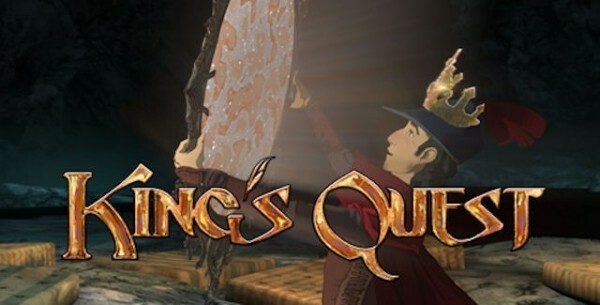 I have a strong love-hate relationship with point-and-click style adventure games that were focused largely on backtracking and backwards logic like King’s Quest often was but back in the 90s, if you wanted the best of the best as far as point-and-click adventure games went, you either went with a King’s Quest title or with a LucasArts title. The one that stands out in my mind the most was Heir Today, Gone Tomorrow, which I believe was the sixth entry in the franchise and probably one of the reasons – among them was 7th Guest, another game I remember fondly for some reason – a great number of people got a CD-ROM drive for their computers. While this game employs some of the modern day point-and-click tropes common to Telltale titles and their ilk, this title still employs some of the backwards thinking that the franchise is known for. While I love the old-school fantasy world and the story is always full of its own brand of light humor it’s still fraught with logic-based puzzles that follows its own little logic and now that we have games in this genre that present itself in a way that allows players to find multiple solutions to a puzzle or situation, it feels that this rigid solution system that follows its own sense of logic really doesn’t fit in. If you’re willing to go through that, though, there is a wonderful story, voice acting, and a beautiful world that is there to offer players persistent and patient enough. I find that when I was younger I was able to dedicate a lot more time to figuring out the puzzles and work through the frustrations and it really felt rewarding but I find that I’m a lot less patient now and I have this attitude of “what was I thinking?” when I look back on playing it the way I did, long before GameFAQs and the internet as we know it. That said, I’m glad this first episode was available for free for this month. I don’t think I would have paid full price for it but that’s because, over the years, I’ve changed, as a gamer, and I don’t think I could sit through the crap that I did nearly twenty years ago with this series. At least 7th Guest had a great sense of logic to it… just with no freaking clues. This franchise always takes me back and I really always think of the original arcade versions of the series along with the original NES port of the first two titles in the series. I don’t think I really engaged in the remakes and reboots of the series, mostly due to the fact that they felt like cheap cash-ins on nostalgia value. This game, though, seeing as it was free, I thought I’d, at least, give it a shot. 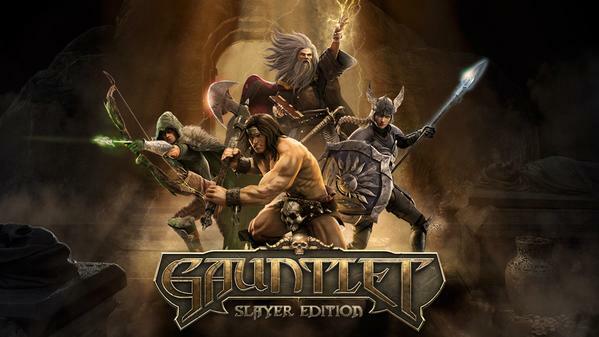 While this game feels a lot more like Lara Croft and the Temple of Osiris, another game that saw exposure through the Instant Games Collection recently, it has enough of Gauntlet in it to consider it a part of the franchise. You’re looking at a game that’s very much like a Gauntlet title that has you traversing a labyrinth in search of treasure and glory. It’s meant for burst sessions that are short and sweet but also rewards you for long play sessions as well. It’s really nice to see a casual game really reward all types of casual gamers. Considering you can go online and finding fairly competent players isn’t usually very difficult, you can get a lot out of this game. I would have no problems paying full price for this game but if it wasn’t for the Instant Games Collection it would be likely I would have never saw this game at all or I may have passed it over as another nostalgia cash-in so for this, I’m doubly thankful. Wonderfully light experience and goes to show that not all games can be judged on their history or their covers. Yet another title in the Instant Games Collection that takes me back to games I’ve played in days gone by: this time, I’m revisiting old gun-based Oriental-style MMOs, because this game has a lot of the same feeling but this game kind of turns the idea on its rear and gives it a brand new approach that I’m not sure I like. What you’re faced with is the fact that your self-insertion customized character has a serious case of amnesia – conveniently enough – and is slapped with a billion year sentence as amnesia is considered a serious mistreatment of the skills learned and the time spent teaching them. You spend the rest of your time doing things to bring that sentence down and it feels as though you’re a prisoner simply for existing, earning back simple human rights like being able to sleep laying down and such things. The world is at war over resources and you take your part representing a city of the world over its resources. Gameplay is pretty simple and is played in burst sessions, throwing you in a small arena with a very short list of objectives that ends as soon as you clear them, usually consisting of taking out a particular target or rescuing citizens. You complete these adjective by running around with access to a long range weapon and a melee weapon in addition to being able to grapple hook around, as well. It’s not terrible but it’s nothing to write home about. In what can only be called a complete parody of late 80’s and early 90’s action films and television shows, this standalone spin-off of FarCry 3 proves that developer Ubisoft Montreal still has a radical sense of humor that isn’t afraid to make fun of itself a little. 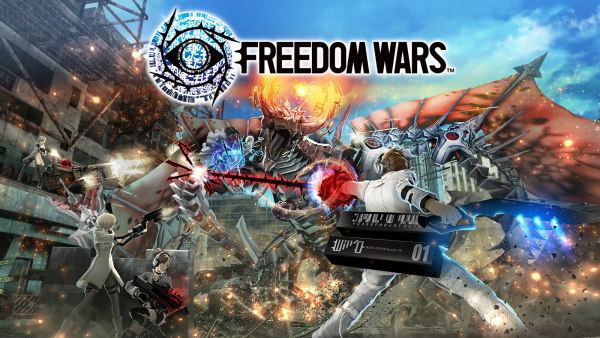 This game stands alone as a spin-off as opposed to being an expansion and, well, it should be obvious, but it shows itself in the first little bit of playing. Blood Dragon is a game that pretty much uses the same basic gameplay and engine of FarCry 3 but that’s where the similarities end. You’re in the shoes of a typical 90’s action film hero and the plot is just about the same kind of fare. A lot of the objectives, weapons, and such things are different from the main game – so much so that it’s hard to tell why they put the number 3 as part of the title, at all, as this game could have sold just as well without piggybacking on the success of FarCry 3 at all. What you have here is a very competent first person shooter that is extremely humorous if you ever enjoyed a retro action flick. 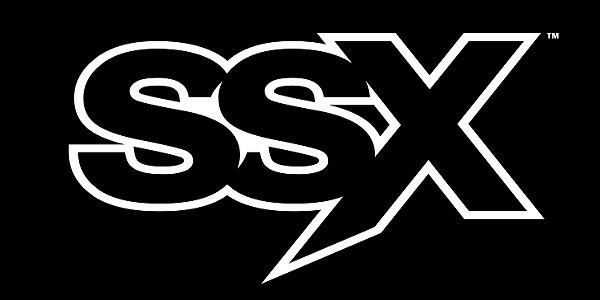 Now, after watching that, can you tell me, if you’re any kind of old-school racing game fan, that that doesn’t get you psyched? While this game may be missing the same kind of over-the-top hip-hop neon-colored style that games in the franchise’s past had, the gameplay is still very much there and it’s still very smooth and purely awesome. Please, if you haven’t given it a shot before and you like racing games of any sort that have a strictly arcade feel to them, you owe it to yourself to give this a try. It’s free. You’ve nothing to lose.